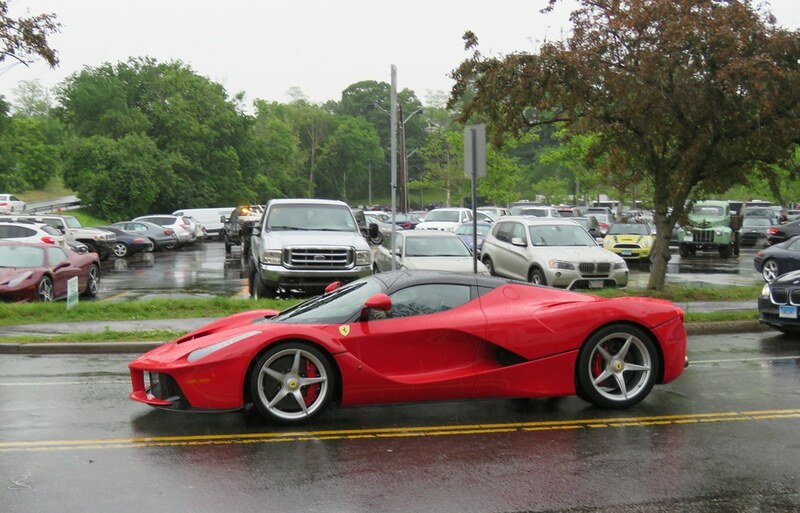 How often do you see something like a LaFerrari on the roads when it’s pouring rain? I wish I could say this was a completely random spotting of someone who is really about that daily-driven hypercar life, but the truth is it downpoured at the end of the Greenwich Concours as all the cars were leaving. 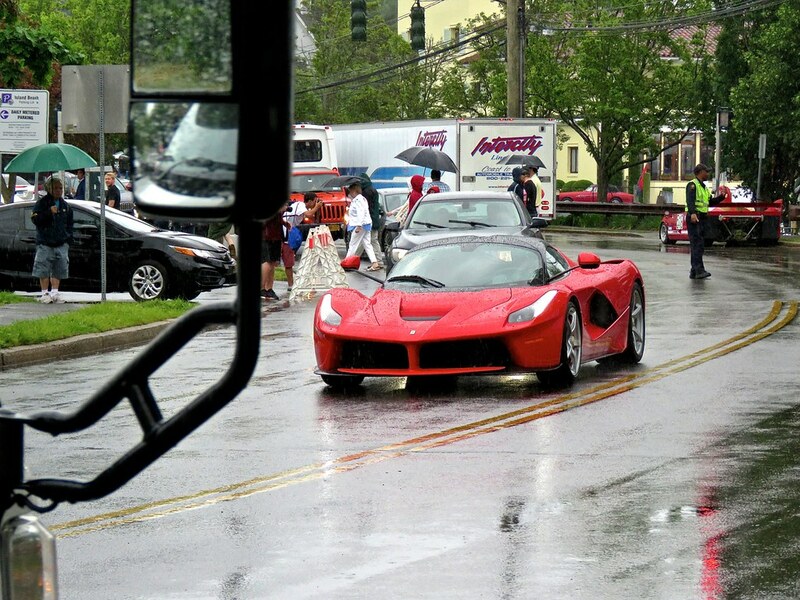 So no, this person did not just decide to take the Laf for a spin in the rain, he had to get the car home. It did make for some extra awesome photos in traffic, though. This hyper Ferrari is already mental when you see it in contrast with average cars, but to see it in the rain, that’s just such an uncommon sight. The driver even opened it up for us a little when the light turned green. It sounded great! Previous PostChecker A11 Marathon Sedan spotted in Greenwich, CTNext PostTake a flyweight Datsun with a turbo small block. Take a heavy Chevy with a blown big block. Mix well!